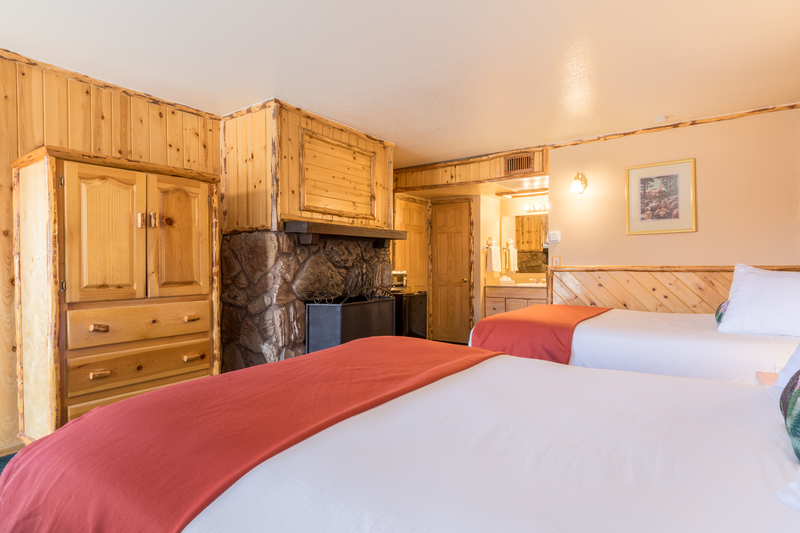 Perfectly situated in the heart of all the action, our pet-friendly Big Bear Lake lodgings are well-equipped with everything you’ll need for a pleasant and memorable getaway in Southern California. 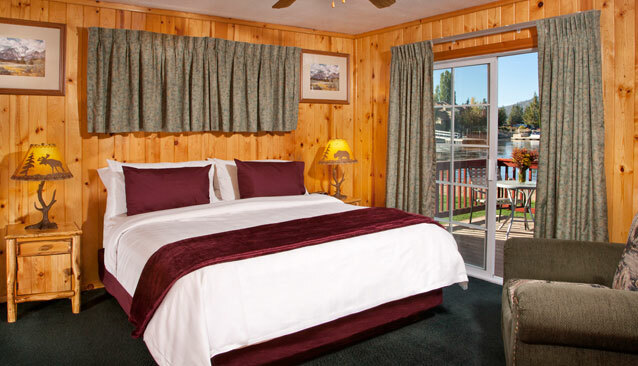 Relax after a busy day of skiing, fishing or exploring The Village in our Big Bear hotel rooms! Featuring a television, VCR/DVD player, full bath, alarm clock, coffee maker, microwave, small refrigerator and free Wi-Fi, you can enjoy all the creature comforts of home with a variety of guest rooms available to suit your needs. Sink into plush bedding amidst a welcoming atmosphere of charming wooden décor. After a day of non-stop fun, treat yourself to a relaxing soak or romantic evening in our King Room with a large whirlpool bath! 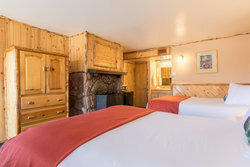 And for the perfect winter Big Bear Lake accommodations, snuggle up with all your loved ones during cold winter nights in front of the fireplace. Offering scenic lakeside views and the perfect location within walking distance to the shops and restaurants at Big Bear Village, everything that Big Bear has to offer will be at your fingertips. Our Big Bear hotel rooms have it all! 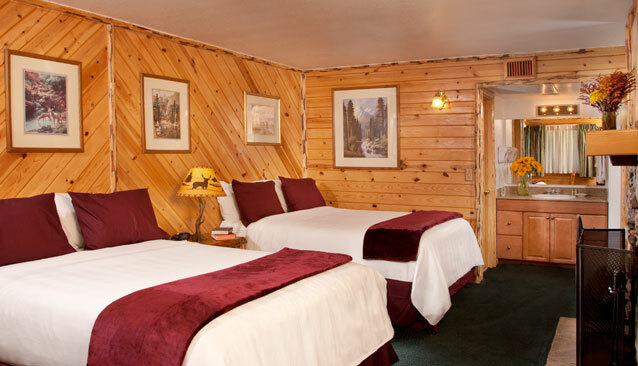 Our lodgings in Big Bear, California is your premier choice for the best in affordable comfort and convenience. Don’t forget to check out our hotel deals, start planning your Big Bear itinerary and book your stay today. We look forward to welcoming you soon! 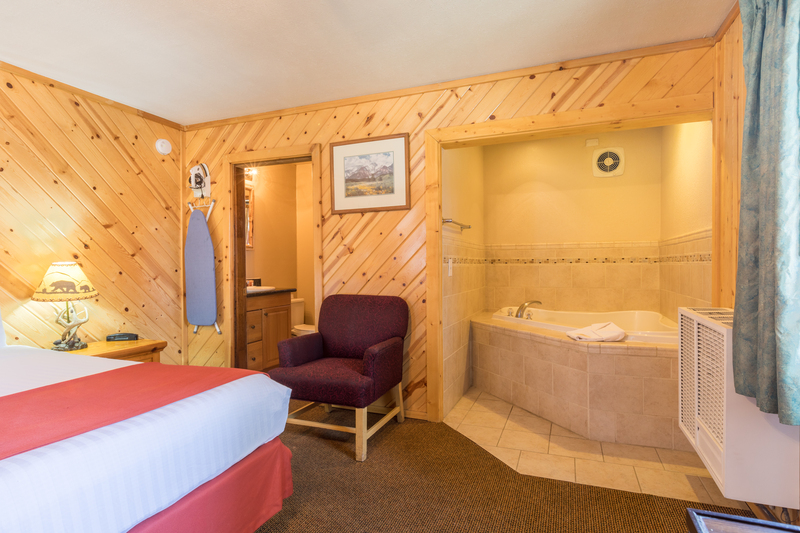 Rest easy after a busy day in Big Bear Frontier's King Room with whirlpool! Enjoy the creature comforts of home with amenities such as a televison, fireplace, microwave, small refrigerator and free Wi-Fi. Treat yourself to the ultimate relaxing vacation by sinking in to your own private in-room whirlpool! Enjoy the comforts of Big Bear Frontier Hotel's King Room, featuring a King Bed, free Wi-Fi, full bath, microwave, small refrigerator and television.